Coming (planned) – A profile on Teddi King	R.I.P Fran Warren – The legendary singer has passed away….. 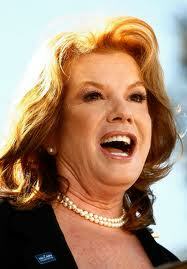 Believe it or not, but 2013 marks the 50th anniversary of Vikki Carr’s recording career! Whether or not Vikki herself has had the best of both worlds is open to debate – but what she has given the public in the form of records during these years definitely IS the best of both worlds! The extremely talented singer, born in July 1941 as Florencia Bisenta de Casillas Martinez Cardona has had two parallel careers; From 1963 and up to 1977, she was one of the classiest pop singers in the US, and also branching out into country and some more jazzy material. Then, from the mid-70’s she recorded almost exclusively for the Latin American market, and as such achieving superstar status in that area, no doubt putting her own partially Mexican heritage to good use. Vikki Carr is the kind of artist who never ceases to amaze me. Her voice is one of the very best in the business, and she can sing any kind of Music equally well. She’s done pop songs, stuff from the great American song book and Musicals, country & western and a wide array of different Latin styles of music. No matter what she sings, her voice is always an instrument of great flexibility and range. To pick 3 songs at random to prove my point; if you listen to “The surrey with the fringe on top” from “Oklahoma”, then an early 1970’s pop tune like “Tunesmith” and go on to something Spanish like “Perdoname mi vida” or “Quando calienta el sol” – you willl hear the same great voice melting into the musical setting. Always instantly identifiable, Vikki still manages to take on a different shade of “local color” to make the songs sound unique. 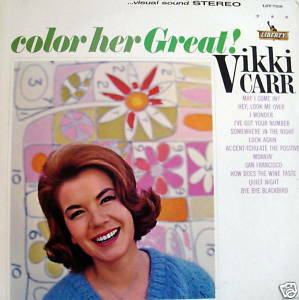 A closer look at the many records and different styles of Miss Vikki Carr to be published on this site in a short while…. If you are unfamiliar with Vikki – I suggest you check out some of her records to see what she’s all about. No doubt, your ears will be CARRessed!